He needs veterinarian care. Don’t let BLM kill SARGE the Fish Creek wild horse!!! Call Neil Kornze, Director of BLM 202-208-3801 DEMAND they save his life!!! Email Neil Kornze Director@BLM.gov SHARE this and take action to save his life!!!! RENO, Nev. (AP) — Despite the protests of a rural county and rancher, the U.S. Bureau of Land Management has returned some 160 wild horses to the range in central Nevada. The agency returned the horses to the Fish Creek Herd Management Area near Eureka on Tuesday after being cleared to do so by the Interior Board of Land Appeals. The BLM originally had planned to return some 100 mares treated with a fertility control vaccine and 80 studs to the HMA on Feb. 20. They were among 424 horses removed from the HMA during a roundup that ended earlier in February. 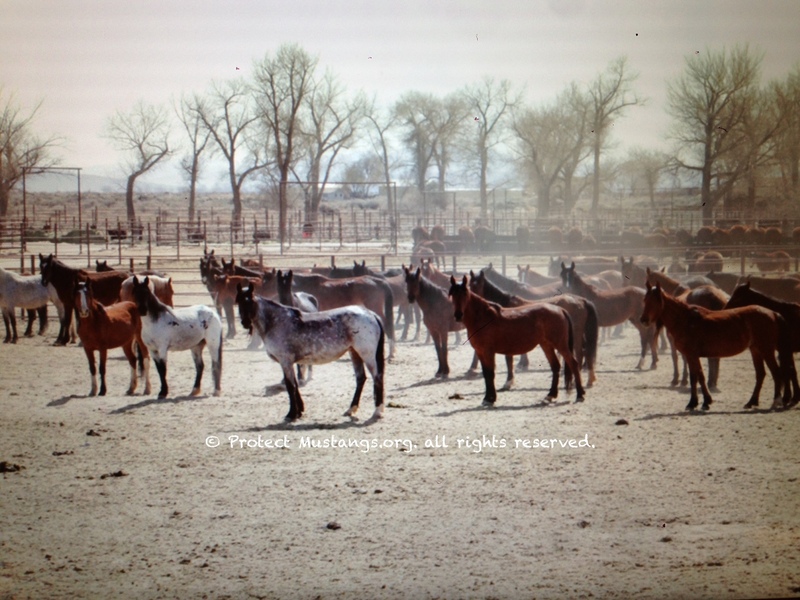 The bureau routinely thins what it calls overpopulated herds on public land across the West, sending horses that aren’t adopted by the public to pastures in the Midwest for the rest of their lives. The agency also routinely releases mares treated with fertility control drugs back to the range after being rounded up. Varying numbers of studs also are released back to the range to help maintain the genetic viability of herds. Eureka County commissioners and rancher Kevin Borba filed an appeal with the Interior Board of Land Appeals to block the return of any of the 424 horses to the range and to challenge the BLM’s assessment of how many horses the HMA can support. 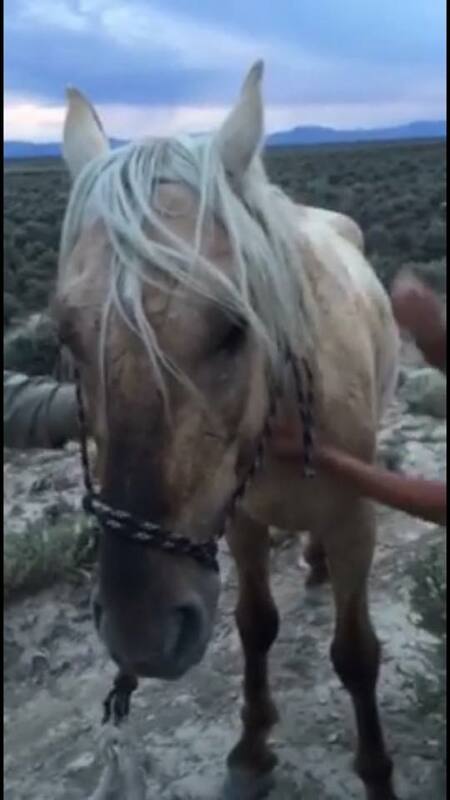 But the board affirmed the BLM’s authority to return 162 of the horses to the range. Arguments in the case continue on the underlying claims. Borba has said the BLM has drastically reduced his livestock allotments in the HMA while allowing well over twice as many horses in it as it can support. He and Eureka commissioners seek the removal of more horses. Horse advocates praised the BLM’s return of the horses to the range, saying it’s in line with recommendations released in 2013 by a National Academy of Sciences panel calling for increased emphasis on fertility control to keep horse numbers down. But not all horse advocacy groups support the use of fertility control drugs on mares. 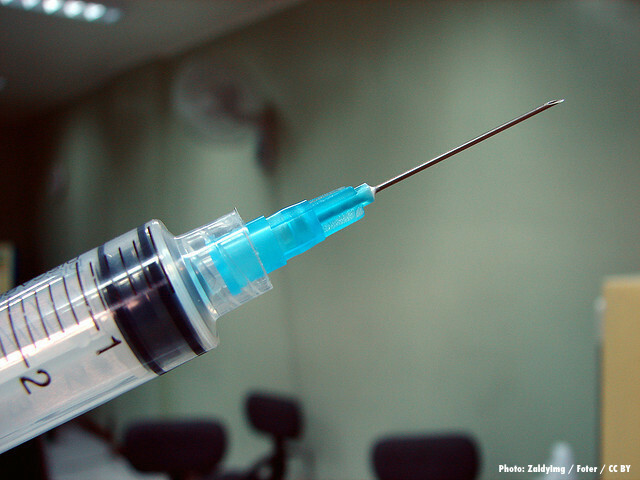 Borba has said he thinks the fertility control vaccine is far less effective than the BLM and horse advocates claim, and horse numbers will further explode as a result. Ranchers view wild horses as competition for scare forage in the arid West. Cross-posted for educational purposes only from the San Francisco Chronicle.